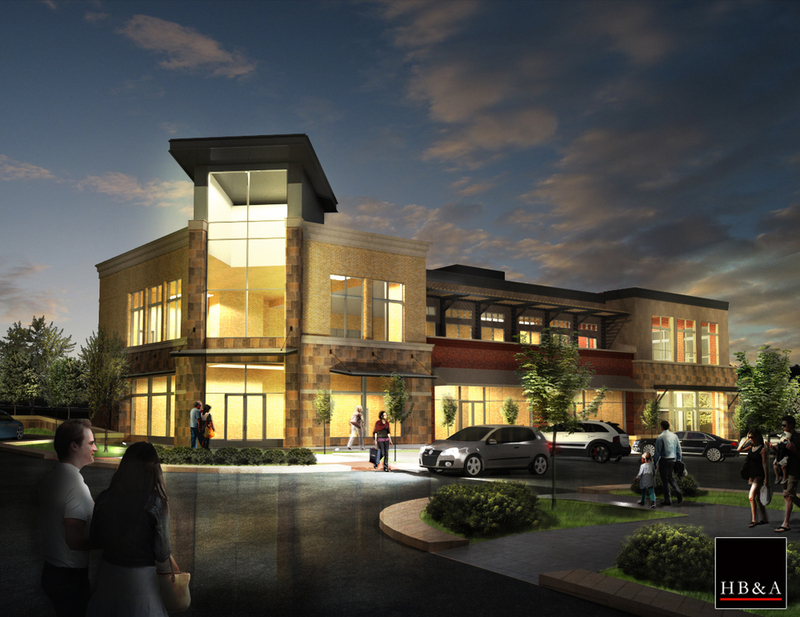 Town Centers 1 & 2 were both designed by HB&A for part of a planned development located in Castle Rock Colorado. They will be one of the first commercial facilities in place inside the Meadows Boulevard loop at The Meadows Town Center. Both of the facilities are drawn in Revit and are used in videos to promote marketing for the client. Both buildings have ground floor retail and second level office space as they are in a dense, multi-use zone. TC 1 is approximately 25,000 square feet and TC 2 is about 13,500 square feet, they are located on opposite sides of the same street. The interior design shall balances aspects of the facility’s history with the current day office use for the Utilities. The unique aspects of the existing conditions that impact the interior design include ceiling heights, dimensions of open available spaces, varied substrate conditions, natural lighting, and accessibility for staff and customers.